Fibreglass is a durable and solid product when used properly. For novice users, its application can be rather intimidating, messy and most importantly weak structurally. With practice and simplified instructions, any user can become confident in their fibreglass project. - Fibreglass cloth: This will be used to coat the mould in question during the application process. Typically fibreglass is sold in kits which contain the cloth for your structural design. Many local craft stores, auto part shops and online locations have these items for purchase in various sizes. - Polyester Resin and Hardener: This is used to prepare the fibreglass just before the application process. Always follow the package directions when mixing these items together. - Metal Bowl and Wooden Paint Stick: This will be used to mix the resin and fibreglass together. Metal bowls should be used as the products will emit heat during the setting process. - Mould for Duplication: Have a replication idea in mind to make using and applying the fibreglass easier. Have a mould out of foam or pliable material to help keep the design properly shaped. Avoid any objects that have sharp edges or corners. - Wax paper: used to cover the mould to prevent sticking, wax paper is important for any design that needs a seamless application without disturbing it upon removal. - Sandpaper: Used to smooth out any rough cloth edges or bumps in between the applications. 1. Create and Prepare The Mould. Have the mould ready before preparing the fibreglass application. This includes ensuring all the pieces are clean, smooth and ready for application. To ensure easy removal, apply wax paper over the entire mould. 2. 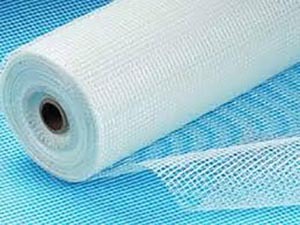 Prepare Fibreglass Cloth for Application. Cut any fibreglass cloth into appropriate sizes to cover the mould. Ensure there is additional space left for overlap, which will help keep the finished result strong and durable. 3. Mix the Fibreglass and Resin. Following the packaging instructions, carefully measure out the proper amount of resin and hardener into the metal bowl. Using the paint stick, thoroughly mix the solution, taking care to get the sides and bottom of the container. 4. Place the Fibreglass onto the Mould and Apply the Resin Mixture. Using a disposable paintbrush, apply a coat of the resin mixture liberally on the fibreglass. Pay careful attention to the corners and any other weak spots that might be missed. Continue this process until the entire area has been covered. 5. Repeat the Application Process until the Desired Thickness is Achieved. Take the time to ensure every layer is placed at a different direction for optimal strength in the finished product. Allow the application to completely dry after completing the last layer. 6. Coat the Entire Process with a Smooth Coat of Resin. 7. Remove the mould from the finalized fibreglass form. Remove and wax paper from the final product.